Real Estate Listing Agreements - Who Gets Paid? To avoid lawsuits, state laws require home sellers to make it clear to which agents, and the terms under which, they will pay commission. However, sellers need not worry about how to make their wishes known. 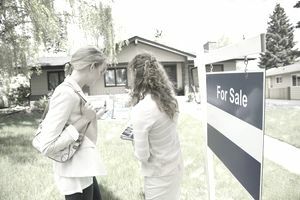 Real estate agents are trained in the rules of representation and are required by law to explain all listing options to their seller-clients. They also provide the correct legal-and-binding forms and enter the information in their local multiple listing service databases so that all agents who wish to show homes know exactly whether and how they'll be paid when the listing goes live. An open listing is a type most used by homes For Sale by Owner, or FSBOs. The owners retain the right to sell the property themselves and pay no commission to anyone. However, many owner-sellers are willing to pay a commission to the real estate agent who brings them a qualified buyer. FSBO sellers usually indicate that they are willing to pay commission in their classified ads or on their yard signs with words such as "brokers welcome" or "brokers protected." Such offers to pay commission are not guaranteed by open listing agreements, though, and savvy agents execute written commission agreements with FSBO sellers before showing such properties to their clients. In this type of listing, FSBO sellers execute an agreement with one real estate brokerage firm and agree to pay that broker a commission only if its agent is the procuring cause of the sale. No other brokers are invited to bring buyers. The sellers retain the right to search for buyers simultaneously, and they don't owe the broker any commission if they are successful in their efforts. This type of listing provides the greatest commission protection for the listing real estate broker. The property sellers agree to pay the listing broker a commission no matter who brings the buyer, including the owners themselves. A broker with an exclusive-right-to-sell agreement is protected and more willing to invest in getting her client's home sold. In aggressively representing their buyers, particularly in markets with low inventory, real estate agents might be out looking for any properties available. Knowing the type of listing agreement the sellers have with their agent saves a buyer's agent time and potential lost earnings -- after all, there's not much an agent can do if she shows her clients a home they love but the seller won't pay commission. For this reason, agents should study listings closely before agreeing to show them to their clients and take steps to protect any potential commission up front. The good news is that exclusive-right-to-sell listings make up the vast majority of multiple listing service properties for sale. In such cases, the seller signs a listing agreement to pay 100 percent of the commission to the listing broker should their property sell during the listing period, and the listing broker agrees to share a portion of the commission to the broker who brings a buyer.